On October 5, 2002 at its 40th Anniversary Celebration, Mount Wachusett Community College honored faculty, staff, alumni, and community members who made significant contributions to the life of the college during its first 40 years. These individuals were recognized as having greatly contributed to the growth and success of the college and had given at least ten years of service. Daniel M. Asquino – was appointed president of Mount Wachusett Community College on August 1, 1987. As the second president of the college, he has effectively led the college through fifteen tumultuous years. Despite several years of budget reductions and a decline in state appropriations to the college from 93% to 38%, the college has grown and flourished. Tanya Barnett – served the college for 14 years. During her tenure, she worked as assistant to the superintendent of buildings and grounds and as executive assistant to the president. She was always available to assist with college activities and spent countless hours for many years as the costume designer for Theatre at the Mount. She continues to support MWCC during her retirement years. Charles “Chuck” P. Bowles – has served on the Board of Trustees for five years and as chair of the MWCC Foundation for over ten years. During his tenure, the foundation endowment has grown from less than $40,000 to over $1,100,000. On many occasions, GFA Credit Union has been a key contributor to foundation events and activities. Donna Brown – was a student at MWCC from 1987 to 1990. In 1987, she served as student trustee and in 1988 represented all public higher education students as a member of the Board of Regents. Since 1992, she has served as a distinguished member of the Board of Trustees and has contributed as a member of the Presidential Evaluation Committee and the Trustees Retreat Planning Committee. Professor Ronald Burba – has been a member of the faculty since 1970. He is one of the most respected and loved faculty members (by students and staff) at the college. His approach to math instruction is legendary and he, quite literally, leaves no student behind. His sense of humor endears him to his fellow staff members and students. Raymond Coleman – began his career at MWCC in August 1966. He has served as professor of Psychology and as the director of international education. He is responsible for bringing many international students and faculty to the college through exchange opportunities. Arthur Collins – arrived at the college in 1993. Since that time, he has served as chief engineer of AV/TV. He is always professional, pleasant and ready and willing to do what is necessary to get the job done. In addition, he has represented the college within the community at various media outlets and has been, single handedly responsible for the donation of thousands of dollars in TV equipment donated to the Broadcasting and Telecommunications program. John Costello – was the first executive director of the Massachusetts Board of Regional Community Colleges. He assisted the legislative delegation and MWCC President Arthur Haley in the search for and purchase of land for a temporary facility for the college and for a permanent facility. John Costello was responsible for the coordination of the construction of the new campus at the state level. Lois Cox – was a student at MWCC from 1969 to 1971. After graduation, she served as an administrative assistant to the associate dean of Science and Technology for twenty-four years, as a staff assistant to the academic dean for two years and has been the executive assistant to the president since 1997. Lois is the prime organizer and literally “prime mover” for many college events and activities. Mary Cullen – was a faculty member and division chair from 1972 to 1991. During her tenure she served on many committees including the Presidential Selection Committee and chaired the 1992 Self Study Committee that resulted in a full ten-year accreditation for the college. All of this she accomplished while maintaining her commitment to students as a professor of mathematics. Ruth Dahir – served the college for 27 years as the assistant to two presidents. Her efficiency, discretion and professionalism resulted in a consistently outstanding image of the president’s office. She was always available to assist with outside projects and with faculty and staff concerns. Ellen Daly – was a member of the Board of Trustees from 1987 to 1997. During her five-year tenure as chair, her leadership and support helped to steer the college through some extremely difficult economic times. She worked collaboratively with the college and its president to address the issues at hand and to help the college prosper. She also served on the MWCC Foundation Board of Directors and continues to support the college in the greater community. Jay Davis Drake – has served on the Board of Trustees since 1992. Since 1997, he has served as its chair. He has shown tremendous commitment to the mission of the community college, and has been a steadfast advocate for MWCC. Richard Fox – served MWCC from 1978 to 1997. He served as the first dean of Continuing Education and Community Services. During his tenure, the continuing education division experienced incredible growth–outdistancing other Massachusetts colleges. When he retired in 1997 he could claim a continuing education enrollment of 3,000+ students. Herman Gelbwasser – claims the title “dean of the faculty,” as the most senior member of the MWCC faculty. However, this honor is not bestowed on him for his length of service but for the quality of this service. He has consistently rendered superior classroom instruction, been available to assist his students and been willing to contribute his time to college events, activities and committees. Arthur Haley – was the founding president of the college and served for 24 years before his retirement in 1986. He was responsible for the hiring of the initial faculty and staff, for the delineation of the curriculum, for the development of the budget and for the siting and construction of the new campus. During his tenure, enrollment grew from 250 students to over 3,000 students. Edward Hall – served the college from 1970 to 1996 as a maintainer. His diligence to his duties was extraordinary. He always took pride in the appearance of the campus and was often seen literally polishing the floors on his hands and knees. His high standards set the tone for all of those who followed in his footsteps. Joseph Hallowell – has served as the college carpenter since 1988. Like Eddie Hall, his standard is absolute perfection. His ingenuity and expertise have saved the college thousands of dollars in construction costs. His zeal in the design and building of furniture for classrooms, labs and offices is without equal as is his commitment to his fellow staff. David Halvorsen – served the college from 1972 to 1988. He served as assistant dean of students and later as dean of students. He was a model student services professional. He was always willing to help any student who required assistance and he always treated his staff and other college faculty and staff with great respect and dignity. Frank Hirons – served as assistant to the president and director of media and public relations from 1972 to 1991. He served two presidents with distinction and pride. His political acumen enabled the college to steer clear of potential problems and to build one of the best town/government relationships in the public higher education system. He was an effective liaison to the greater community and was responsible for negotiating many advantageous arrangements, including the purchase of the land, for the new college facility. Vincent Ialenti – has served the college since 1970 as department chair of the Broadcasting and Telecommunications program and recently as the director of distance learning and as liaison to Mass Colleges Online. His professionalism and respect among the faculty has resulted in the development of a great number of distance learning classes and the application of technology in the classroom. Leo LaChance – is a great friend of the college. Since its inception, he has tirelessly promoted the college in the greater community. Most recently, he was instrumental in gathering the necessary support to develop programs to address the current nursing shortage. The college needs friends like him in these times when called upon to do more with less. Raymond LaFontaine – has been an outstanding friend and political ally. During his tenure as a member of the Massachusetts House of Representatives, he was instrumental in securing the support of the legislature and the necessary appropriations for the construction of our fine campus. He served for 11 years on the Board of Trustees, five years as vice chair. He remains a steadfast supporter of the college and its mission. Professor John Leamy – was a member of the MWCC faculty from 1966 until his retirement in 1997. He had an unparalleled ability to teach students the art of writing while instilling an appreciation for the Humanities. He served as a mentor to many new faculty and served as the first summer school director for the college. Helen and Edward Lepkowski – have been devoted friends of MWCC. Helen worked as a professor of Secretarial Studies for several year and Ed served on the Board of Trustees for 10 years. They continue to promote the efforts of the college to the Greater Gardner community. The college is very fortunate to have such loyal friends. Roberta Letendre – has worked tirelessly on behalf of MWCC. During some difficult financial times, she spent many long hours working with administrators to resolve tough fiscal issues. She has always adhered to the highest standard of professionalism. Although she retired on June 15, 2002, she continues to work part-time, sharing her expertise for the betterment of the fiscal management of the college. Thomas Malloy, III – has served at MWCC since 1970. He is an excellent classroom teacher and has devoted a great deal of his time developing the Honors Program which was the first fully accredited Honors Program in higher education in the Commonwealth of Massachusetts. He has also spent considerable time researching the local history of Northern Worcester County and working with local historical commissions. He has presented at many national conferences. James Murphy – served as the first chair of the Board of Trustees. His efforts on behalf of the college have been outstanding. He was instrumental in organizing the Massachusetts Association of Community College Trustees and served as its chair. He continues to offer his expertise, support and resources to the college and to Dr. Asquino-who was chosen during Murphy’s tenure as chair. Samuel O’Neill – served MWCC from 1967 until 1996. He served as division chair of Humanities, dean of academic affairs and professor of Humanities and Computer Science. He has always been admired by his colleagues for his organizational skills, dedication and thoroughness in fulfilling his job responsibilities. Ashton “Larry” Payne – has worked tirelessly for the betterment of MWCC. His dedication to the college went far beyond his responsibilities in media services. He was instrumental in bringing the “Vietnam Veterans Memorial Moving Wall” to the college. He has also actively participated in many other college projects including the Wachusett Folk Café and the High School Girls’ Invitational Basketball Tournament. Since his retirement in 1993, he has always been available to the college on a part-time basis. Ernest Rahaim – served MWCC from 1973 until 1985. He was the first superintendent of buildings and grounds. During his tenure, Ernie spent countless hours overseeing construction of the new campus. As a result, we have one of the best educational facilities in the Commonwealth of Massachusetts. Marion Rahaim – served the college from 1970 to 1988. She worked as an administrative assistant in several departments. Most of her career was spent as an administrative assistant in Humanities. Marion’s professionalism and demeanor with faculty, students and administration was superior. Her skills as an administrative assistant were unmatched. Paulette Rocheleau – served the college from 1978 until her retirement on June 15, 2002. Her organizational skills, knowledge, dedication and attention to detail are of the highest quality. Her knowledge in the area of student records is unparalleled. Fortunately for the college, she continues to share her expertise in a part-time position in the records office. Sandy Signor – was employed at the college from 1974 until 1997. She was the first nurse/health counselor at the college. As a result of her work, an excellent health resource office was established. She was a well-respected counselor on campus. Students, faculty and staff consistently sought her counsel. Mary Solomita – served the college from 1988 until January 2002. She was the first dean of external affairs and was instrumental in bringing the college to the greater community. 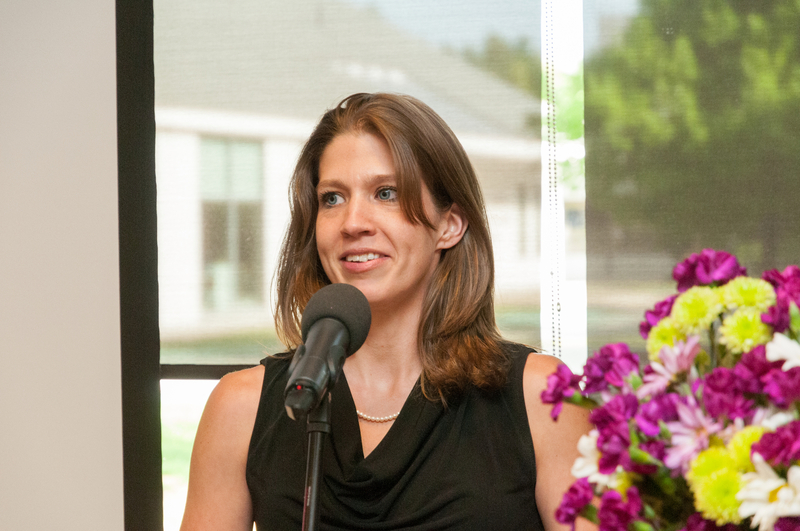 Through her leadership, the MWCC Foundation has flourished. The MWCC foundation Golf Tournament began seven years ago and has become one of the most successful tournaments in Northern Worcester County due to her efforts. Gail Steele – has served the college as a professor of Speech since 1977. She has demonstrated exceptional dedication to her profession and has made significant contributions to her community. In 1982 she was appointed director of Theatre at the Mount and since that time has produced over 162 plays and musicals. She has also served as founding director of the very successful Drama Camp. Carl Tammi – served the college from 1967 until 1997. He -served as the first director of the computer center and later served as professor of Computer Science. He worked tirelessly for the betterment of the college and was a true advocate for faculty in his leadership role as a member of the Massachusetts Community College Counsel. Upon his retirement, he provided funding for scholarships for Computer Information Systems graduates. Jean Tandy – served the college from 1968 until 1997. She was the founding chair of the Art department. Under her leadership the Art department flourished and is respected throughout the community college system. She initiated the annual High School Arts Competition, which is open to all art students in the college’s service area communities. Edward Terceiro, Jr. – has served the college since 1991. 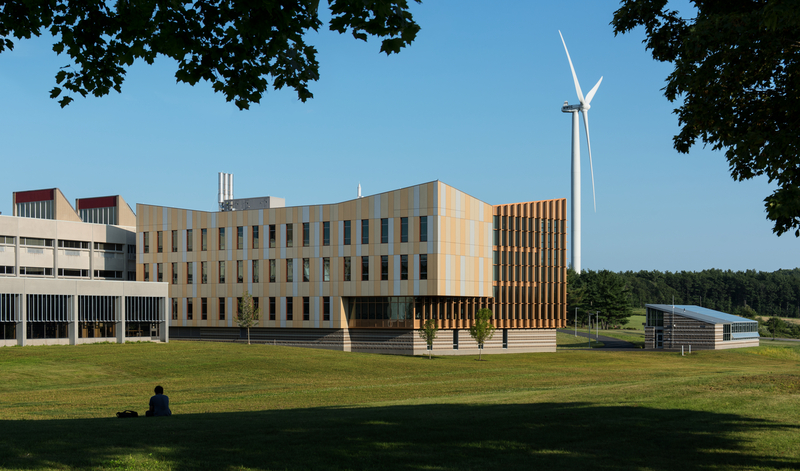 He has been responsible for a number of projects, including the Robert D. Wetmore Center for Innovation in Design, Technology and Resource Development and the energy-saving biomass project. In addition, he has worked very closely with his staff, faculty and other administrators in providing state-of-the-art classroom technology. He is highly respected by the entire college community. Peter Trainor – served the college from 1969 until his retirement on June 15, 2002. During his tenure he served as professor of Psychology, as union president and as dean of student services. His commitment to the college’s mission and to the students has been exemplary and virtually without equal. He was instrumental in implementing the High School Girls’ Invitational Basketball Tournament which provides students with the opportunity to compete and to receive scholarships. He continues to teach and provide support to students on a part-time basis. Joseph Ward – was an outstanding political ally and friend during his tenure in the Massachusetts State Senate. He worked very closely with Representative LaFontaine to secure Senate support to fund construction of our present facility. He was always eager to offer his assistance to the continued development of the college. Robert Wetmore – has been a steadfast and loyal supporter over the years. He has helped the college to overcome many financial difficulties during tough budget times. As a member of the Massachusetts Senate, he was instrumental in establishing the college’s Forest and Wood Products Institute and has served as chair of its advisory board since its inception. He has been a strong advocate for renewable energy and worked tirelessly to establish the biomass power plant. He has also served as a member of the Special Commission on Forest Management Practices. Aspasia Anastos – taught English for 14 years and served as acting chair of Humanities from 1978-1981. An outstanding teacher, administrator and colleague, she was deeply committed to the college and stood by her principles in everything she said and did.Howard Barlow – was a well-known resident of Gardner and owner of the Uptown Market. He devoted his time and effort to the campaign to bring a college to Gardner. His strong voice and advocacy, along with those also noted, formed the foundation for the establishment of Mount Wachusett Community College. John Bassett – served the college from 1966 until 1989. Under his leadership as dean of the faculty, many of our present academic programs were initiated. He also taught history and economics prior to his retirement. Leon Bedard – served the college from 1965 until 1983. He was the first division chair of Science and Technology. He worked diligently to develop the science and technology curriculum. As a professor of engineering, he was especially skilled in the area of electronics and mathematics. David Butler – served the college from 1974 until his death in 1995. He began his career as a campus police officer and was later appointed chief of campus security. He worked many evenings and weekends on his own time to ensure that the college community was safe and secure. In addition, he designed the early campus security systems on campus. Robert H. Gilman – served MWCC as counselor, director of financial aid and director of advisement from 1970 to 1997. He was always willing to assist with any project, no matter its level of difficulty. He was loved by all faculty and staff for his kind manner, his keen wit and his great sense of humor. His was the voice of reason when one was needed.